I.P.A. 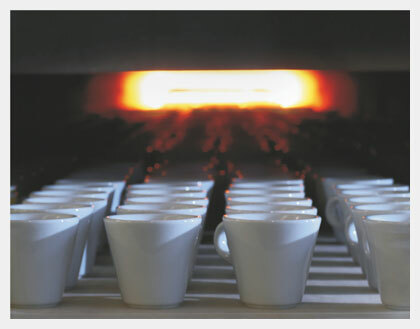 Industria Porcellane S.p.A., the most important Italian manufacturer of cups destined for the professional market, has been operating in Italy for more than 60 years. Founded by Egidio Sala in 1955, it is now run by the four Sala siblings, Riccardo, Roberto, Laura and Daniela, propelled by a healthy entrepreneurial spirit that has made Italy and "Made in Italy" great all over the world. 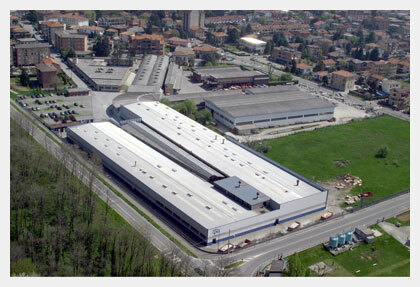 It is not a coincidence that the company is a member of Confindustria Ceramica, which promotes protection of the Italian product in various spheres, sponsoring it through the most important Media, with a Logo which marks all ceramic "made in Italy" products, and which only those possessing specific requisites can use. Introduction of the new brand of origin Ceramics of Italy, which came into force in 2009, expressed the wish to circumscribe and protect all ceramic productions, produced exclusively in various locations within Italy. Now the prestigious Ceramics of Italy brand can only be stamped on products actually made in Italy. Creativity, Taste. Elegance are all aspects which we never lose sight of especially when we are given the task of creating innovative projects, ambitious shapes which combine ergonomics and quality in a series of tactile, visual experiences which only a company of great competence and experience gained in 60 years of innovations, all strictly patented at European level, can tackle. The commitment to total quality and continuous challenges in the search for new shapes encourages the company to put great energy into the development of its own technologies, in prototypation and the mass production of cups and products aimed exclusively at professional users. It is not just a coincidence that every year projects and systems for production are "conceived" within our technical office, which guarantees , during all the production phases, a large-scale, undisputed control of the raw materials, quality and standards necessary for turning out a wide variety of shapes and models. Thanks to on-going technological and IT developments, several years ago the company set up a new and innovative computerised design centre which, almost in real time, accompanies customers in the “creation” of cups designed ad-hoc expressly to satisfy their own requirements. During the design phase we never lose sight of the design and technical characteristics that a cup destined to professional usage must have. Naturally all the shapes created and the exclusive models are registered and lodged contributing to safeguarding every single project from the danger of counterfeiting. Not only shapes but images too, the company has a valid graphic studio which faithfully reproduces every image "dressing" each model uniquely, or proposing a wide range of graphic solutions to promote its own brand in the most incisive manner, creating three-dimensional digital simulations for the new projects reducing times and costs, giving an immediate idea of how to proceed and what the successful paths at communication level are. Numerous designers, architects and artists such as Oliviero Toscani, Goran Lelas and Matilde Domestico, work together with the company proposing shapes, studies and projects which are always creative and innovative. In producing and decorating the porcelains, the company guarantees that every article respects current European standards and the more restrictive ones of the United States for the transfer of lead and cadmium in products coming into contact with foodstuffs. Again concerning safety and traceability of goods, in line with the Ministerial Decree of 1st February 2007, which requires the traceability of manufacturers and importers, the provenance of products is certified, in this way guaranteeing the "all Italian" production of the articles which leave the factory. All of this makes I.P.A. the leading Made in Italy Company operating in the production of products for coffee roasting, the reference point of the sector, always one step ahead of the others, always looking beyond the fashions of the moment. The company produces coffee cups in hard feldspatic porcelain with technologies which have no comparison and do not fear comparison with others because they are made with a passion which unites millions of people every day in the most common gesture, linked to taste and friendship, that of drinking a good coffee!.